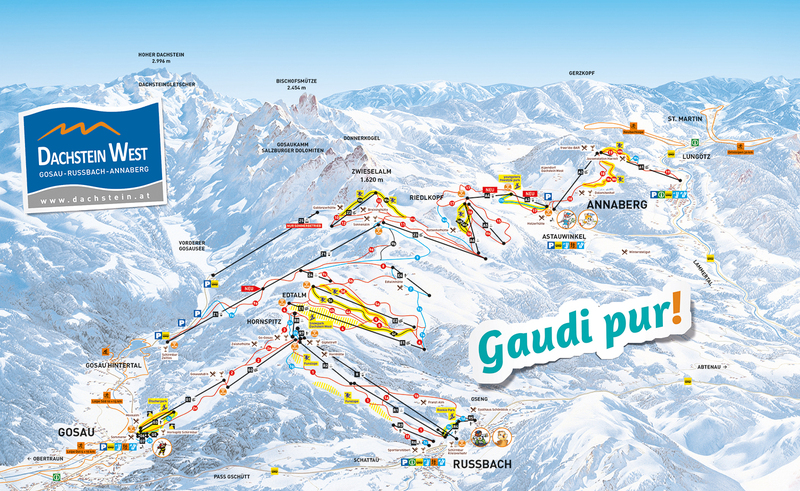 Skiing in Dachstein West offers an impressive mountain panorama, perfect pistes, mostly with a snow guarantee, modern lifts, traditional mountain lodges and inexpensive ski passes. Skiing in the low mountain ranges with low risk of avalanche and protected from the wind whilst enjoying the views of the higher nearby mountains – you won’t experience it as intensively anywhere else than in the Dachstein West region, especially since this season there is now the well-signposted, connected „panoronda" cruisers’ ski circuit with a total length of 44 km. This is only one of the reasons why Dachstein West is known as one of the ski regions with the best views in Austria – and as one of the most hospitable.